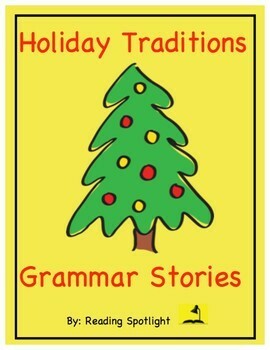 Holiday Traditions English Grammar Stories are a unique way to improve grammar while learning historical and cultural information about some Christmas traditions, such as greeting cards, Santa Claus, the holiday tree, and more… Focusing on the most common grammatical errors in student writing, it is fun, effective, and easy to use, including answer keys and explanations for each correction. 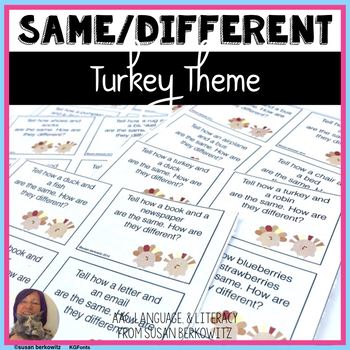 Practice expressive language skills by telling how things are the same and different with a fun game that students will “gobble” up. Comparing and contrasting critical features is an important language skill. There are 44 cards, a game board, and a spinner. 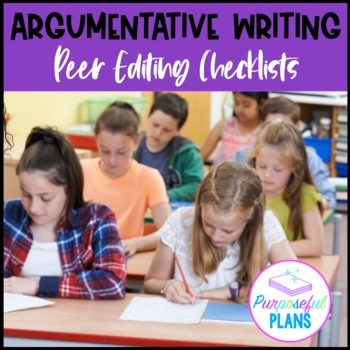 The 3 peer editing checklists are very detailed (for a 5, 7, & 9 paragraph essay) created for the progressing writer. Excellent for mixed or leveled classes to give students individualized instruction. Practical and easy to understand. Students will know what is expected of them and they will have opportunities to reflect on their work. 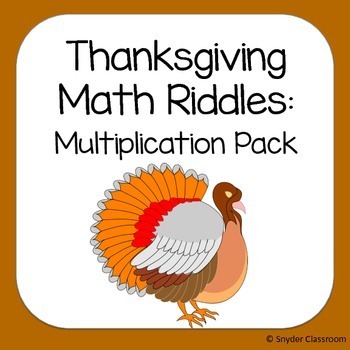 Engage your students with these Thanksgiving themed multiplication math riddles worksheets! Students solve multiplication problems, each problem has a letter assigned to it and the letters help to solve the riddle. I love hearing my students giggle as they solve the riddle at the end of the worksheet. It is a great way to combine fun and learning! Make multiplication FUN! 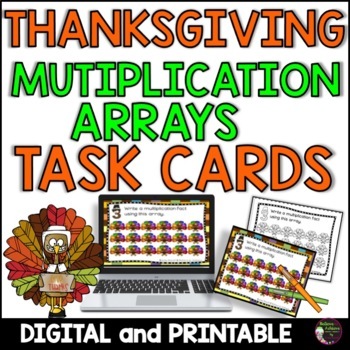 This is a colorful set of 24 task cards to practice writing equations to go with multiplication arrays with Thanksgiving theme! Included is a recording sheet and answer key, too! This set is also a part of a Multiplication Task Card Array Bundle!